Not always one can go for real flowers to make floral arrangements in a house or in a particular area. One can also take fake flowers into account. If they are decorated properly and nicely then it can also look real and it can add some colours to the place. Now one can also order artificial flowers online as there are many sites available dealing with varieties of artificial flowers. Also the basic arrangements of real and artificial remain almost the same but it is always easier to maintain artificial flowers as one does not have to deal with keeping the freshness intact in them. One can follow some simple steps in order to get the decoration nicely and properly. Firstly one needs to prepare the vessel where they are going to decorate the flowers. One can use a vase, a compote or a planter box but one always needs to keep in mind that it should have a solid base for the floral arrangement. The one needs to cut the dry floral foam to fit it snugly inside the vase or the compote so that it can rise about an inch from the top edge of the base or the place where the flower is kept. One also needs to use some waterproof floral tapes which can easily secure the foam in place. If the tape alone fails to keep the foam firmly gripped then one can also use some hot glue to get some additional stability. Then comes the part of trimming flowers. It is a great idea to pre-trim all the flowers and the pieces that one wants to keep in the arrangement. Use the depth of the compote as a guide for how short to trim your flowers. One also has to be very careful to not to trim them too short so that it hampers the entire decoration. One first needs to design the structure and shape of the arrangements. Also, take a look of the dishes and contours one has taken in the arrangement and then think how to accentuate the beauty in it. 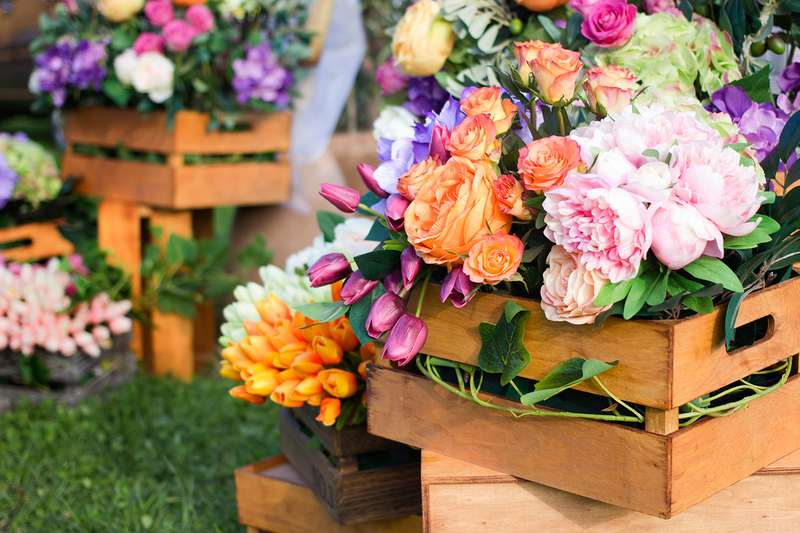 One can take artificial flowers of different colours and floral foams in a various way like vertical, horizontal, triangular, crescent-shaped, oval or s-shaped. Once the base is done properly one can add to the beauty of the arrangement. One needs to position their flowers asymmetrically and it will give a very natural look during display. One also needs to trim the flowers properly and use wired stems to give it exact shapes. For a gestural finish, one needs to make the arrangement perfect from every angle and fill all the gaps so that the arrangement looks fuller and heavier. One can also buy imported artificial flowers online because they are also available easily these days at many sites.